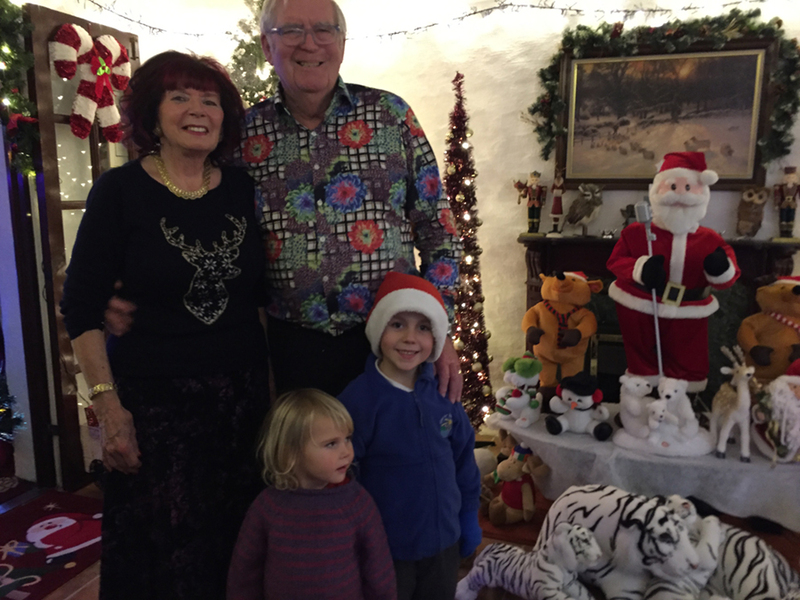 Here at Bosinver we believe Christmas would not be Christmas in Cornwall without a visit to Colin Marshall’s house at Carclaze Road St Austell. Colin is the guy who we hire our scaffolding from and he is absolutely nuts about Christmas. 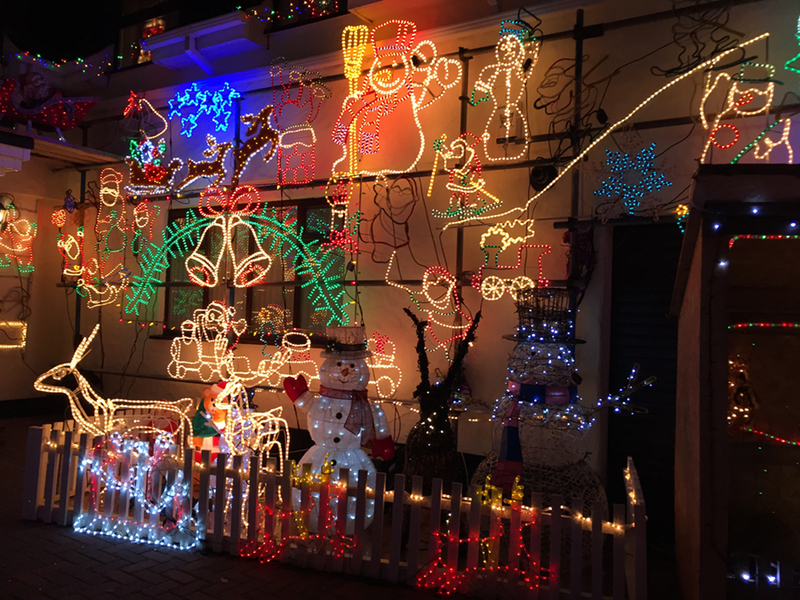 His house is decorated all over, outside and in with thousands of flashing lights, Christmas trees, Santas, Rudolphs and anything else that has the slightest connection with the festive season. Apparently it all began many years ago as a bet with a friend to have the most lights on their houses. Colin is a competitive type and went all out to win. The friend conceded and Colin got the bug. Now every Christmas, he, his wife and a member of staff spend four weeks getting the house ready. 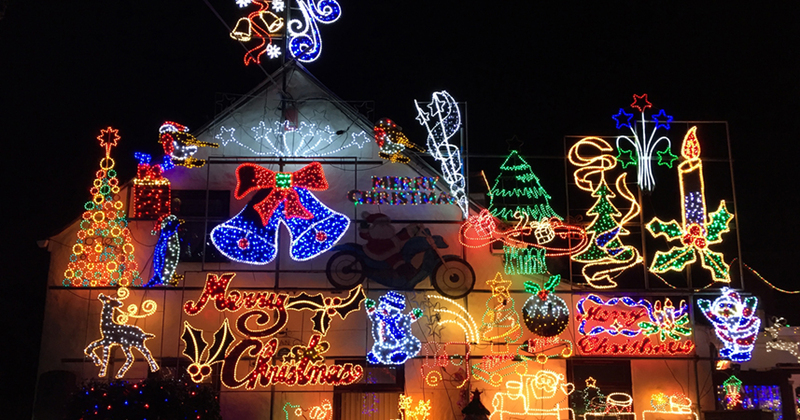 Every square inch of the exterior is covered with flashing festive lights, so much so that the display lights the sky and makes the house easy to find in the dark! Inside is a Christmas grotto. Every spare inch has a Christmas related figure, most of whom gyrate or sing at the touch of a button or the clap of a hand. An uncountable number of flashing Christmas trees sit alongside elves being showered in plastic snow and red-coated,white-bearded Santas in every shape and size. Colin does it for the love of it and to put a smile on people’s faces, but if people want to make a donation the money is collected for a local charity. 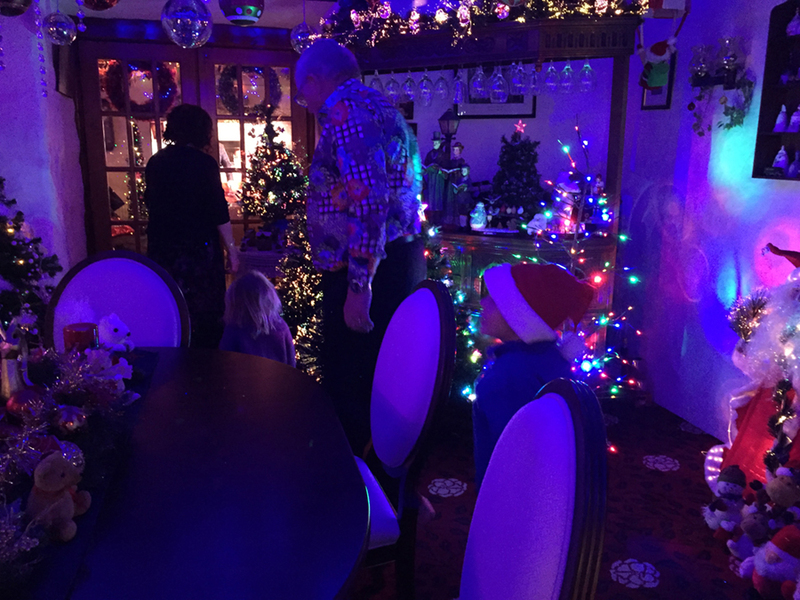 My grandchildren absolutely adore their trip to a Colin’s house at the run up to Christmas and if you are visiting Bosinver during the Christmas holidays I strongly advise you to visit and stand in awe at the sheer spectacle Colin has created. You will certainly not be alone, there is usually a queue lining the road in the early evening, I’ve even seen people arriving by taxi!